Bring both bold beauty and a graceful glow to your ensemble with this timeless table lamp. 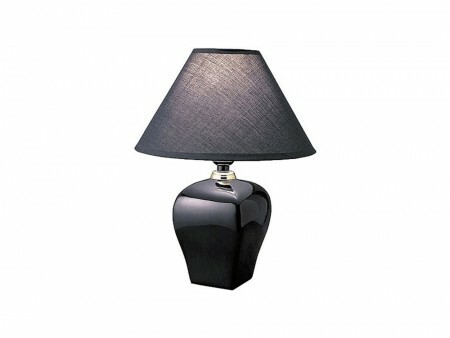 Crafted of ceramic, its tall base offers up a globe silhouette with a solid finish for versatile appeal. A matching fabric empire shade sits on top to complete the piece and direct the light of its single bulb down and outward. Simply center it atop your little one's nightstand to give them a warm and relaxing shine while they enjoy a soothing bedtime story, then make their bedside display more personal with a few framed family photos or one of their favorite small stuffed animals sitting upright.